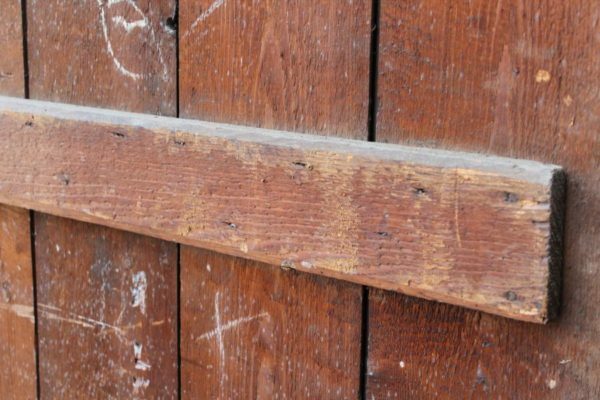 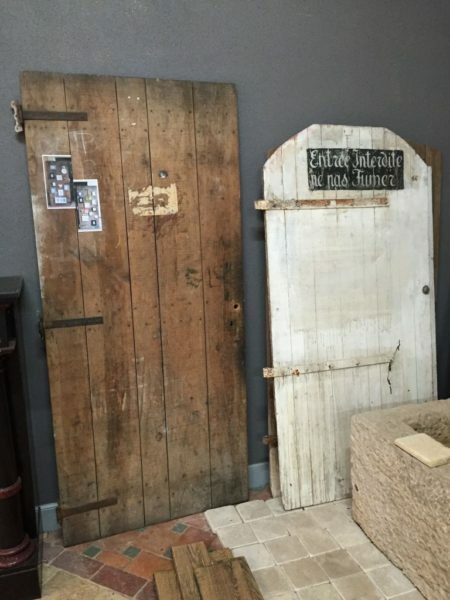 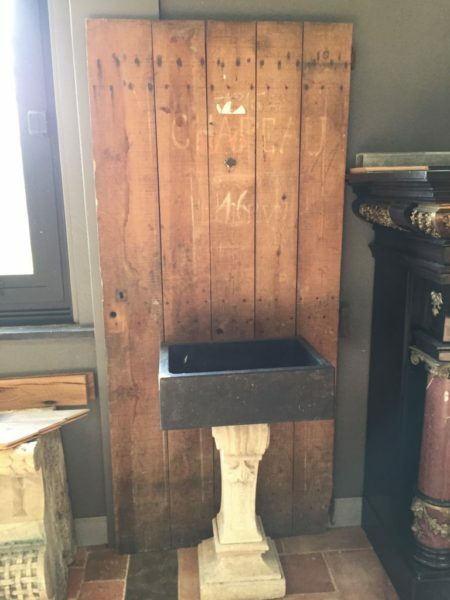 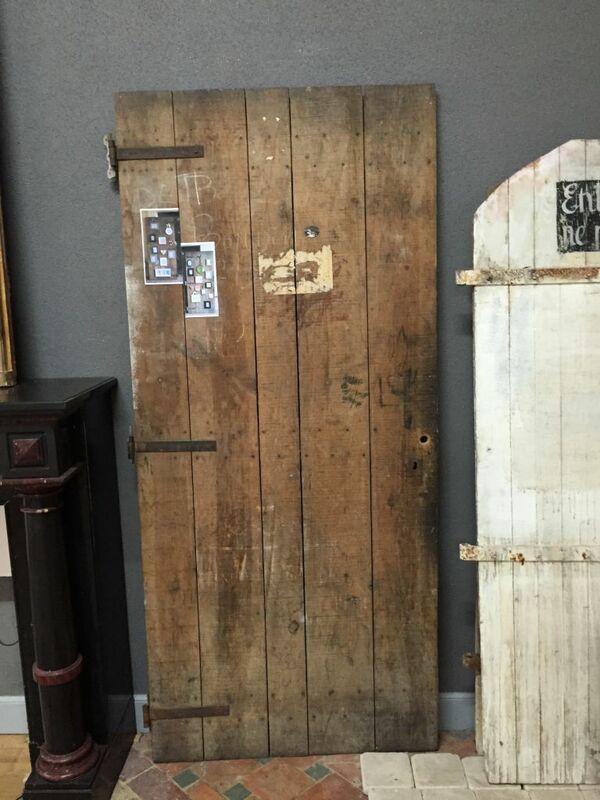 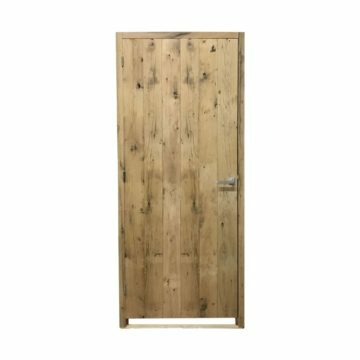 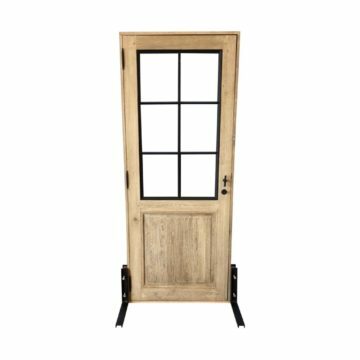 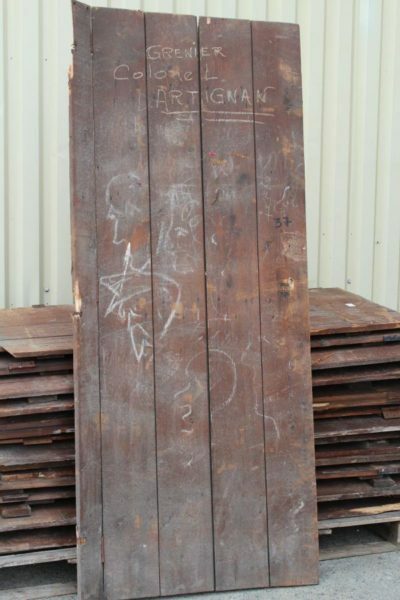 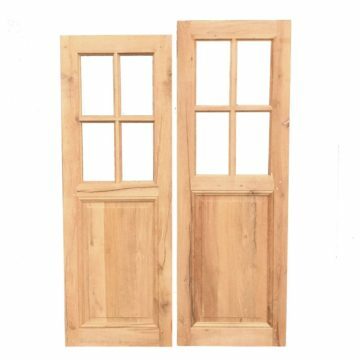 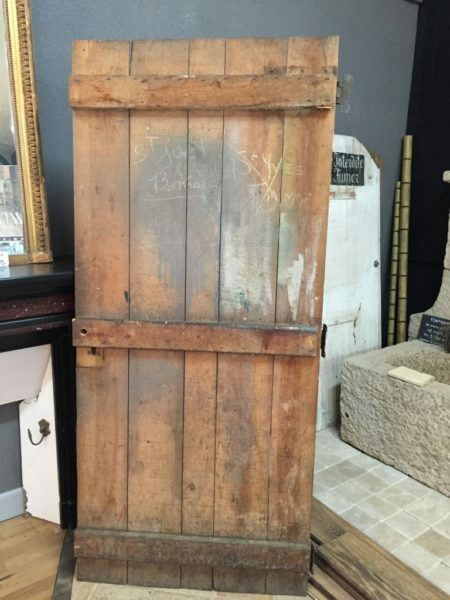 14 antique pine doors from the store rooms of a 19th century French police station. 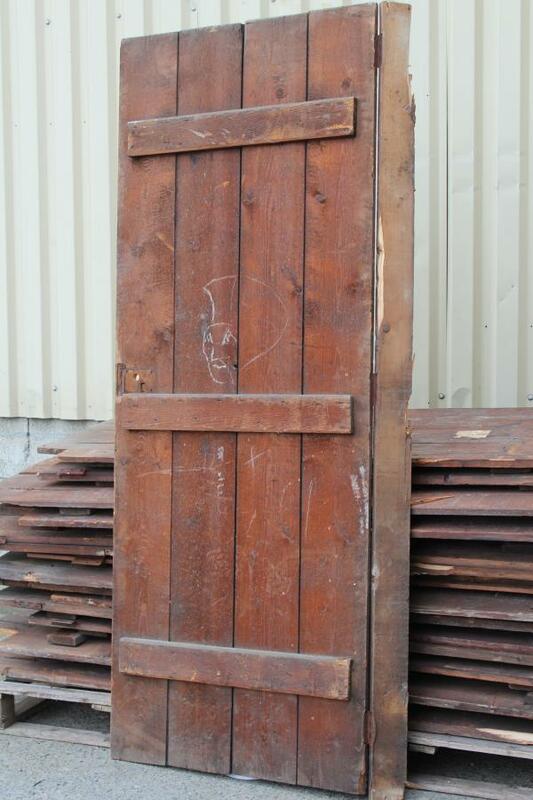 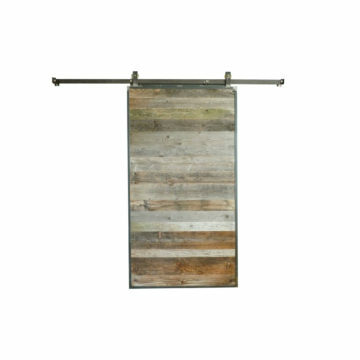 Dimensions approx: Height 230cm (90.5 inches) x width 88cm (35 inches) x board thickness 22mm (nearly 1 inch). Plus some smaller doors with the Gothic style writing of “l’Occupation”.